Get your recycling program off the ground successfully with extra-durable recycle containers from Witt Industries. They are a great way for any school or business to promote "green" awareness. 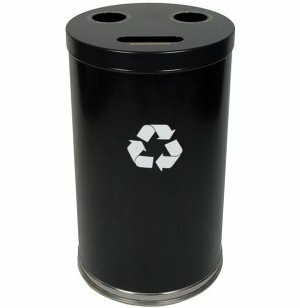 This large capacity recycling container features three separate openings, allowing the contents to be automatically sorted, and saving on floor space by accommodating several materials in one convenient location. Three rigid plastic liners keep each commodity separate, and extend the container's life by keeping its interior clean. The easy lift-off top makes servicing simple, and durable, recyclable decals let you clearly label each opening. 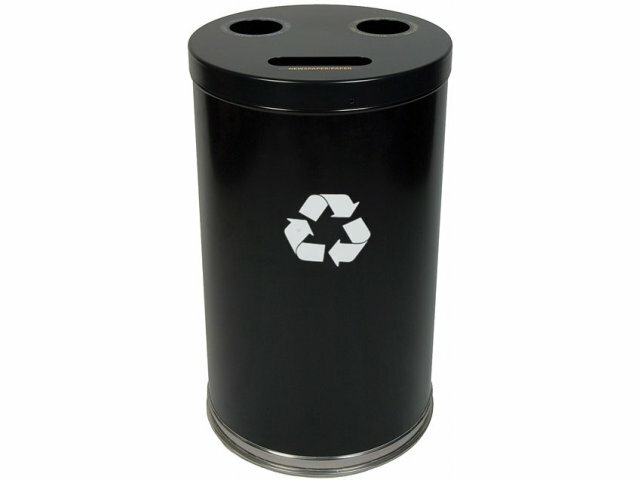 Available in a choice of colors to best match your office or classroom décor, these high-quality recycling containers are an attractive way to promote "green" awareness - and make our planet a cleaner, healthier place to live. Large Capacity: Large size eliminates the need for maintenance staff to empty the containers frequently and prevents over-stuffing.